Just like training your muscles at the gym, in one session you can feel and see a small improvement, but for maximum result and to achieve LONG lasting results from CACI treatments, we recommend a minimum intensive course of 10 treatments over 4 weeks. Maintenance treatments are then recommended once a month. 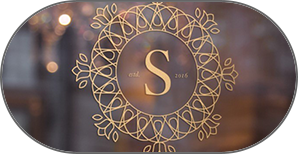 Every client who commits to a course of 10 treatments in full receives their first maintenance treatment FREE OF CHARGE. Invest in yourself for lasting results. 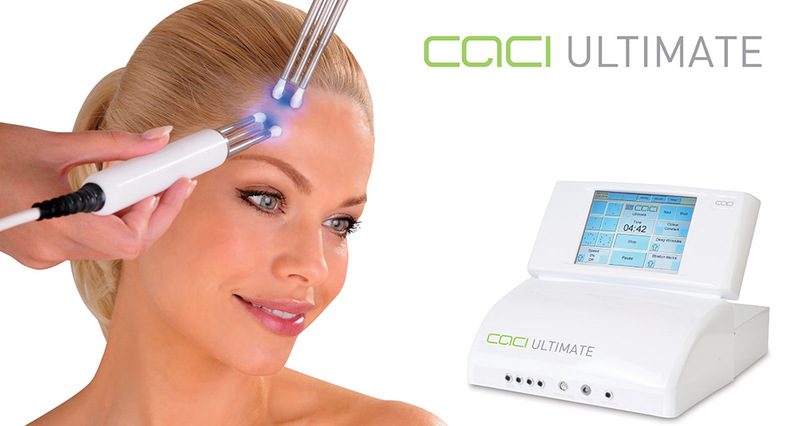 CACI’s signature Non-Surgical Facial Toning is an advanced non-invasive facial with 20 years medical research behind it. Micro-current impulses will lift and tone the facial muscles and the neck area whilst improving skin elasticity and reducing the appearance of fine lines and wrinkles. 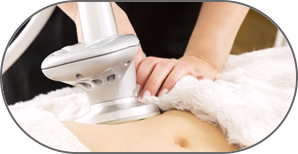 It is specifically designed to lift and firm the muscles and refine contours to give a firmer more toned appearance. CACI Deluxe Non- Surgical Facial Toning is perfect for those clients who want an intense version of the 1 hour signature Non-Surgical facial Toning Treatment for enhanced results. It gives an extra 15 minutes to concentrate on muscle laxity around the jawline which can cause drooping jowls / drooping lids or drooping cheeks as well as loose skin. 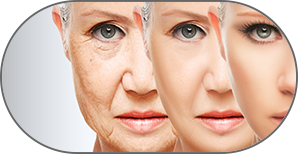 It gives an extra 15 minutes to concentrate on areas of muscle laxity aimed at mature skin types with specific concerns. 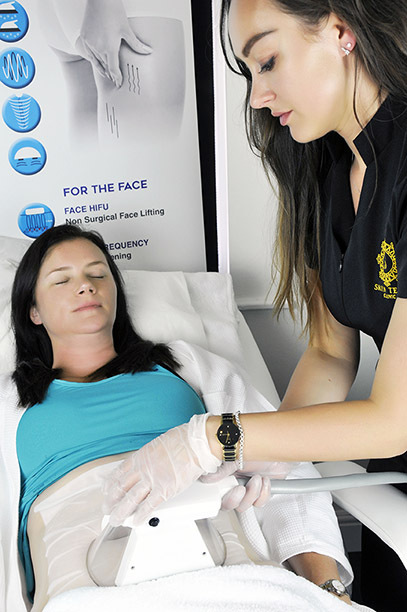 Microcurrent facial toning and lifting is added to the Ultimate Skin Rejuvenation facial to work on facial contouring and tone as well as hydrating and nourishing the skin. 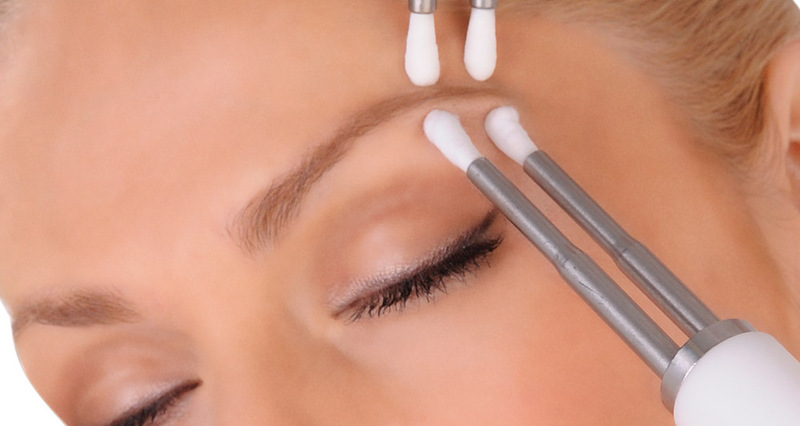 The CACI Eye revive treatment uses serum filled CACI Microcurrent rollers together with a deeply nourishing Collagen and Rosewater Hydro Eye mask to lift hooded eye lids, reduce puffiness and dark circles and soften the appearance of fine lines and wrinkles around the eyes. The Ultimate Skin Rejuvenation treatment uses controlled orbital microdermabrasion to exfoliate and deeply cleanse the skin, leaving a brighter, smoother complexion. CACI ‘s unique wrinkle comb will then target fine lines and wrinkles providing a non-invasive alternative to collagen injections. This facial uses a deeply nourishing Collagen and Rosewater Hydro face mask that intensively hydrates and nourishes the skin, giving a more youthful, fresh appearance and glow. This treatment uses controlled microdermabrasion to exfoliate and deeply cleanse the skin, combined with LED light therapy for tissue repair and healing. The controlled removal of skin cells reveals more youthful looking skin and as remarkable softening action on surface lines and wrinkles. This soothing treatment targets severe acne concerns where exfoliation is not advised. This treatment uses blue and red light therapy (renowned for its anti-bacterial and anti-inflammatory healing properties ) combined with the hydro mask to soothe and calm as well as reduce irritation.